I struggle to put into words how excited I am about the weddings I'm shooting this year. I have the privilege of photographing some amazing couples who share wonderfully romantic and unique love stories. And one of my favorite parts about telling those love stories is the engagement photo session. It's a chance for me to get to know my brides and grooms and to establish not only a friendship with them, but also a working relationship. Every couple is different and engagement photos allow me to learn what makes them laugh and how to pose them so that we are able to capture real, genuine moments and smiles. I seriously LOVE these sessions. In October I'll photograph Diana and Clay's wedding in Raleigh but they chose to shoot their engagement session on Clay's family property in Wilmington-- and let me tell you, it was gorgeous. 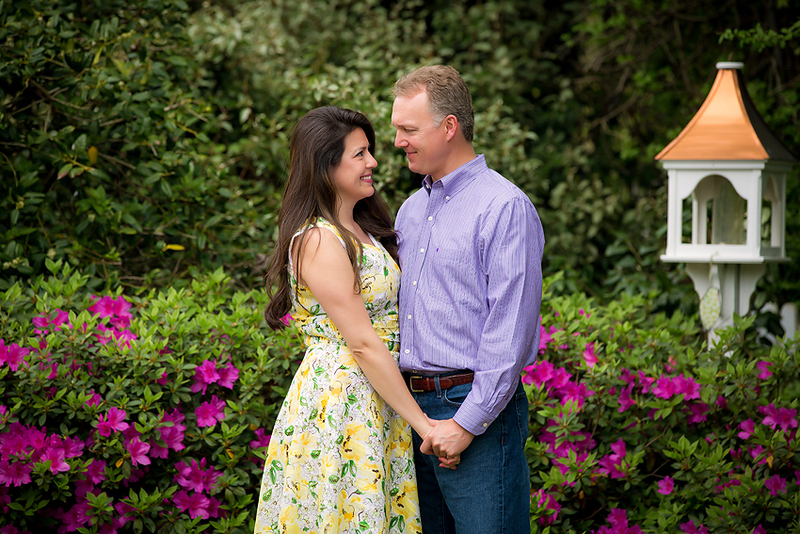 We shot the session on the same weekend as the North Carolina Azalea Festival and the blooms did not disappoint! Clay's parents have an incredible garden that provided a wonderful backdrop for their Wilmington engagement photos. We ended our session down by the water for a quintessential southern coastal scene. This session was the perfect blend of what North Carolina has to offer-- lush greenery and waterfront living. I'm so lucky to live here and to be a Raleigh wedding photographer because I get to meet couples like Diana and Clay. I can't wait for their wedding!